Politics Daily: Is the Senate really broken? Pundits take a dim view of the chamber. Are they right? Sen. 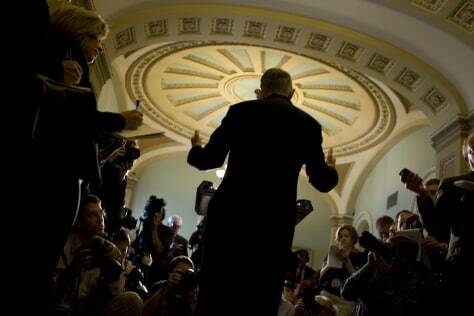 Majority Leader Sen. Harry Reid, D-Nev., gestures during a press conference on the financial crisis in 2008.